This article, written from the perspective of a Five-Element practitioner and teacher, begins with an account of his experience of the Fire element and its significance for him personally. It moves on to give the classical context of the author’s understanding of the Fire element, outlining the roles of the four Fire Officials (heart, small intestine, heart protector and three heater). The Five-Element approach to treatment is then illustrated using two vividly portrayed and sharply contrasting examples of patients with Causative Factors in the Fire element, addressing the diagnosis, treatment and outcome in each case. Five Element theory and practice is often accused of being ‘lightweight’, ‘simplistic’ or ‘naïve’ in its understanding and approach to dealing with complex disease patterns and the provision of a comprehensive diagnosis for treatment. This may be true on one level as the basic tools of diagnosis that provide the information are simple and require little, if any explanation. The reality is that, although simple, Five Element acupuncture has a profound system of diagnosis and provides a treatment protocol that is elegant, sophisticated and unbelievably effective. The foundation of this style of acupuncture is the practitioner’s ability to ‘know’ the elements and their relationships to each other by sensory means only, recognise how they are functioning within the patient and be able to formulate this indisputable information into a treatment that is effective in returning the patient to a full state of health. In an age where we are obsessed with ‘working things out’ and constantly demand we prove things are real, we step away from the truth as we attempt to claim the simple wisdom of the Five Element system as some great discovery of our mind and then feel we have to add something to it. The evidence of our perceived reality is there for us to experience should we choose to do so. There is a huge temptation to intellectualise Traditional Acupuncture quoting the great historical thinkers and seemingly elevate the subject to the level of the mind. This sadly is the antithesis of what this style of acupuncture is about and certainly not a way to understand and appreciate the fire element. Personal individual experience of any of the five elements is the only way to gain an insight that will be useful to us and in the care of our patients. Our ability to experience fire has to be through our senses and in particular the way in which the fire element has contributed in shaping our own lives for better or for worse. The only thing that is ‘real’ is what we actually experience with our senses. Our senses have no interest in deceiving us and simply report the reality of what they experience. The quality of that information is dependent on the health of our senses and our willingness to receive the purity of that information. It is our brains and our egos that reinterpret those signals and how and why we do that, is interesting but of little use when trying to really understand the elements. We must receive this information passively, our internal expectations and judgements securely on hold. When I was around seven years old I first became aware of the curious need to create fantasies about myself and others to create a world different to the one I actually inhabited. I became a ‘liar’. My first recognition of this, although I had been accused of lies prior to this time (much to my amazement), was one afternoon during a class with my least favourite teacher Mrs Hill. ‘Does anyone know what a Judge does?’ she asked. ‘I do!’ I exclaimed my arm reaching for the sky. ‘My Grandfather was a Judge’, I said proudly. ‘His name?’ she asked. ‘Judge Kite’ I said. Now I look back on this and the many other inventions that followed for many years, I can see the amusing side; however, at the time I remember the pleasure of the fantasy juxtaposed with the terrible fear of being caught out and yet unable to stop. For me, there was a lot of shame attached to this terrible habit, and it was a great source of distress I felt unable to talk about with anyone. I was probably in denial that this was a problem as it seemed to be such a real part of me there was nothing I could do about it. I was also aware that people for some strange reason would accommodate these ‘lies’ rather than confront me. There was also a definite sense of emotional warmth at the moment of creating the ‘lie’; the temptation was all too seductive. Because of my shame the subject was never really looked at until I decided to train as a psychotherapist. Even then I felt embarrassed to ‘come out’ as a habitual liar, and felt this self-revelation could be used against me. Having spent many sessions trying to understand where this habit may have come from and finding no resolution I gave up and put it down to ‘insecurity’, but never really felt comfortable with this as an answer. During my training as a Classical Five Element acupuncturist at Leamington, I was diagnosed as having my constitutional weakness (CF) in the Fire element. I remember very clearly my emotional response for the first few hours after the first treatment. ‘I have choice’, I kept thinking and although I did not fully understand what that meant, the idea that life was about personal choices moved from being a theoretical model to an actual truth I could not deny. Here began my ‘experience’ of Fire, my inner world finally illuminated enough that I could actually see who I was and how I would now like to live. I cannot stress enough the profundity of that moment, as for the first time I could actually ‘see’ my inner truth and take my rightful personal ‘exalted’ position, and not have to appoint myself with delusions of grandeur. This is the power of Fire, the illumination of the depths of self and the revelation of our inner truths and destiny. The importance of that experience in relation to being a practitioner was realising the power of the medicine we practise, the simplicity of the diagnosis and the personal implications for the person treated at this level. It made me realise that in the case of the Fire element being seriously deficient in a person, everything in their life will be dark, cold and confusing. For the Classical Five Element practitioner to be able to practise this style of acupuncture with a definitive diagnosis and a clear treatment strategy, he/she must be able to experience the five elements independently and subjectively. To learn ‘about’ the Fire element objectively and understand the correspondences is not enough to be able to read the quality of this element within ourselves or others. This is not to say it is not fascinating to read the Classics and absorb the wisdom of a people highly tuned to their environment, but to remember that this was their experience and we must have our own. The Classics teach us through example and not dogma, suggesting a way of seeing ourselves and the world, passing down a system of healing that reflects that wisdom. My training at Leamington Spa consisted almost entirely of encouragement to develop my own sense of the Five Elements. This was through my sense of sight, hearing, smell and my ability to experience the emotion of another within myself. I was discouraged from reading and investigating the roots of this tradition and was fed a treatment protocol that would be adequate to take the experience of my senses and place them within the context of constructing a treatment for the patient. I did not question this ‘wisdom’ but trusted the process and emerged after my three year training and started my practice. Naively, but with great confidence I trusted the process, looking, hearing, smelling and ‘feeling’ my patients, to diagnose one of the five elements as the cause of all distress, and applying a treatment appropriate to that element. In spite of a busy practice and great clinical success I suspected I did not have the full picture and began to study the Classics, trained in TCM and learned every Chinese herb name in pin yin. With all of this knowledge I very quickly realised the most invaluable tool I have at my disposal is my ability to experience my patients as they are constituted elementally. In Chinese numerology we see Water/jing as ‘1’, holding our essence, our sense of self and the seed of potentiality hidden in our depths. This half of the whole becomes complete again with the emergence of Fire/shen as ‘2’, born in the depths of jing at the winter solstice and rising up to take its place in the south. This is the basis of life. These two are interdependent, jing giving birth to shen and shen illuminating the depths of jing. The quality of any person’s jing/shen being a foundation for health and an important consideration with any patient. One of JR Worsley’s favourite points, and one indicated wherever the patient’s ‘spirit was not available’, was Ki 24 ling xu spirit burial ground. The Chinese character depicts a ritual being danced to draw down the rain from heaven, a shamanic practice, to ensure the healthy relationship of jing and shen. Jing calls the shen down, but the shen is not us, it is the Divine. Shen meeting jing is our manifestation of the Divine. In this early manifestation the nature of Fire is to sustain life through its light and warmth. It is important to remember that heat emanates from the fires of ming men and light emanates from the Fire element itself. The image of the heart as Emperor and the other organs as court Officials comes from the Nei Jing, The Yellow Emperor’s Classic of Internal Medicine. It presents the Confucian style hierarchy of the organs as ‘Officials’ of the Kingdom and assists in our understanding of the interrelationships within the human body, mind and spirit. The Emperor sat on a throne content that all was well with the Empire. His heart was empty, unattached, like a beautiful vase where the five spirits that carried the will of heaven would come and settle and ensure the relationships of all the Officials of the Empire. At his feet sat the Sorter of Pure and Impure, his constant companion. The Sorter would listen to the chimes of heaven and earth and hear which notes were tuneful and those that were discordant. The latter would be injurious to the Emperor and so only the purest sounds of heaven and earth could fill the Emperor’s chamber. At the gate of the palace, stood the Heart Protector who carried the love of the Emperor to the furthest and most distant points of the Empire, feeling the love of his people and maintaining relationships with them. Alongside the Heart Protector the Three Heater hovered, maintaining the love and warmth throughout the Empire travelling in time and space linking and binding everything here and gone. ‘The sun has got his hat on, well hip, hip, hip, hurrah, the sun has got his hat on and he’s coming out play!’ Michael would sing to himself as he came down the corridor and would increase the volume as he entered the treatment room. ‘Good day to you Sir, and what does the good acupuncturist have in store for me today?’ he would ask laughingly. Michael with his bright red face, wild laughing eyes, his selection of pink shirts and red ties, would appear from behind the door like the ‘Joker’ and could not be a better example of ‘Excess Fire’ than any other person I have ever met. In recovery from a major heart attack six months earlier, Michael was visiting me weekly, always with a joke and a laugh and his irrepressible optimistic nature. ‘The boys on the team wouldn’t know what to do without me, you know. I’m the top producer and that’s a lot to look up to, so I try and keep them up there with me. You’ve got to give your fellow man a helping hand.’ He would say with a chuckle. Michael was an insurance salesman. He loved his job, much like he loved everything. ‘We have the best time in the world around that coffee machine. You know it’s a place to hang out and have a little bit of bonding. The guys love that, and I’m the main man for the job.’ He would explain bursting into song. ‘There’s no business, like the insurance business, like no business I know……....’ and would end with a tap and a clap. He was exhausting, and if I felt tired after ten minutes with him, try and imagine how he must have been feeling under all that laughter. It was pathological and he could not stop. Quite simply he was ‘burning up’, emotionally revving at full speed, his blood pressure going through the roof. Examining his tongue, I found it was as bright red as the rest of his face with massive cracks like leather that had been left out in the sun and then soaked. He was in serious trouble. Each of the Five Elements has an emotional resonance that is particular to that part of the energetic cycle. For example in the case of Fire the emotional pendulum can swing from ‘control’ (energy contained) at one end of the spectrum to ‘chaos’ (energy released) at the other. They are opposites of each other and somewhere in the middle we find ‘propriety’, the virtue and place of balance for the Fire Element. In the case of Michael with his ‘excess joy’, he had held himself in the place of ‘control’ where everything was held so tightly in place the condensing nature of control was building up heat at his centre much like water in a pressure cooker. This intense heat from fire itself manifested in a very manic ‘out of control’ joy and laughter and was literally burning him up from the inside out. Had he been truly ‘out of control’, in ‘chaos’ at the other end of the spectrum, at least the energy would have had a place to dissipate. ‘I’m taking the wife and kids off to the States for a couple of weeks. Sheila, my wife, wanted to go to Miami and just lie on the beach, but I said, ‘Oh no you don’t! Life is too short to be lying around,’ I said, so we are going on a rafting trip down the Grand Canyon.’ Poor Sheila. He seemed to lack any vulnerability at all, always holding strong eye contact, constantly checking I was still with him in his stories. He did not ‘give a damn’ what anyone thought of him, as he already had a totally convincing version and opinion of himself that seemed to be unshakeable. If I ever tried to question his actions or the way he viewed a situation, whatever I asked would be brushed aside with a joke and a laugh. My aim was simply to try and bring him away from the ‘edge’, and a little more back to the middle, so that on some level he could find some rest. ‘How’s your sleep Michael?’ I asked him on our first meeting. ‘Sleep? What’s that?’ He roared with laughter. The most concerning aspect of Michael’s health was his complete inability to contemplate the severity of his situation. When told by his doctors to relax and take more exercise, rather than start with gentle walking, his response was to take up squash and try to beat thirty year olds he would play from the office. Again, Michael always knew best so verbal intervention and support was an utter waste of time. Michael had a ‘causative factor’ in the fire element and the ‘Official’ in distress was the heart. His colour was primarily ashen but with a bright red on the surface, the sound in his voice was excess laugh, his odour was a sickly burnt smell and his primary emotion was excess joy. The Heart Official ‘is’ the Emperor! By virtue of that position of high office all others are lowly. Michael was the Emperor and did not dare question his own authority and position as to do so could expose a weakness. It was therefore almost impossible to request an ‘audience’ with him to point out where he might be getting it wrong and offer help, as this was just not a possibility in his reality at that time. Unlike the Emperor depicted in the Nei Jing, emanating love to all his subjects from a position of absolute knowing, Michael, unsure of his position, restricted the flow of love and warmth within his palace creating heat and agitation. Treatment strategy was to restore the functioning of the Heart Official, and the cultivation of wu wei (the art of doing nothing). This is the great challenge for Fire. To be everything, yet do nothing. The journey of the qi along the Heart meridian from Ht 1 ji quan to Ht 9 shao chong tells us a story of shen (heavenly shen) a yang reality, and its journey into manifestation in the cultivation of ling (earthly shen) a more yin reality. This yin aspect of the heart brings the absolute truth of heaven into the material world enabling us to communicate through our hearts. Each point along a meridian is like a chapter in a novel that tells us the story of the healthy functioning of that Official. Chapter by chapter the tale is revealed. By understanding the resonance or meaning of each point, and appropriately choosing the one that will restore original nature to the person we can help the patient return to a place they inherently know but at some point and for some reason forgot or lost along their life journey. Treatment on Michael consisted of using a tonifying needle action, with point choices on the heart meridian as described below. The choice of points and their timing was dependent on how Michael responded to any given treatment, but, over the period of time that I was seeing him I used all of the heart points listed below. Treatments were supplemented with work on the small intestine (the paired Official) and the ren mai such as Ren 4 guan yuan, Ren 14 ju que and Ren 16 zhong ting which all go further in supporting the natural function of the heart and the heart/kidney axis. The Emperor sits on a throne and does nothing. Connecting with the heavenly source of yang this Official only knows ‘truth’ and simply asks, ‘what is next? What is next?’ always looking forward. The Emperor moves to the south facing terrace to use alchemical and shamanic powers to evoke thunder and lightening to draw down the rain (ling). This force is the blue green dragon that will bring about the arrival of spring. This is the spirit to animate leaders whilst keeping them calm. The heart by nature wants to escape the tyranny of the ego (the yin aspect of itself); however, in order to cultivate and transform the ling spirit it is essential it comes down from its ‘exalted’ (yang) place and join with the ‘lowly’ (yin) aspect of jing. The joining of heart and kidney balances yin and yang. This point brings the heart down from the terrace to a lower place, balancing, settling, humbling and calming. The Heart moves on to follow its destiny (ming). The quality of metal at this place maintains the atmosphere of the upper jiao and ensures the ‘right’ journey, the true spirit path and the cultivation of propriety, an internal space where Emperor and Prime Minister communicate. The Heart now looks outwards for the first time whilst holding its internal vision. Here is the joining of our mortal heart with the heart of Heaven. This point strongly draws qi into the Heart taking awareness to the interior. Heart fire illuminates the depths of our self (jing) and joins the heart and mind (small intestine). The Small Intestine Official tries to comprehend life from the exterior but needs the truth of the Heart, as the source of suffering is always from the interior. The Heart ascends the ‘mound’ to examine the landscape before moving on. There is the potential to get stuck at this point. If we hold our heart closed and tight it agitates and puts heat in the blood. ‘Yin Cleft’ is an image of pure light shining through a crack having the transformative power to purify and break the stagnation that obscures the truth of the Heart. When there is stagnation the Five Spirits no longer rest with ease in the empty Heart. This point brings new light. If we deny ourselves our true desires the truth of our Heart becomes perverted and we may indulge ourselves in ways not good or appropriate for us. The Heart reaches the gateway where the transformation of ling to shen is complete and the true yang of Heaven is restored. This is the exit for the Heart to go out into the world, but is regulated by the gate in its ability to appropriately open and shut. The function of the Heart should not require effort (wuwei) so the gate must only open as much as is possible for the Heart to accommodate. The shen of the Heart is stored at this point. This is a safe resting place whether the heart needs calming or invigorating. The point is equally good for both. This is Home. Up until now the heart has held a close relationship with kidney in order to cultivate ling, however having completed that task at ‘Spirit Gate’ it materialises as pure yang. It is the fire point of fire, true fire by nature a place of absolute self and truth. The Heart unites the Kingdom by sitting firmly between Heaven and Earth transforming ling into shen. This point is similar to the image of chong qi , a swirling vortex or energy between the poles of yang (Heaven) and yin (Earth). A mighty force being drawn downwards to a fine point concentrated energy (hence ‘little’). The wood point linking the qi aspect of the three treasures (shen, qi, jing) holding the central place, much like the Heart sitting on the throne between Heaven and Earth. From the very first treatment Michael became quieter and stiller. He started to listen and respond rather than react. His colour regulated to an even red, his voice levelled, his odour reduced and contentment replaced the hysteria. Brian was a security guard at a computer company in West London. His job was to ensure everyone entering the building had completed the ‘record of visitors’ book and had attached a sticker with their name to their chest. Brian’s main complaint was obesity. He weighed 280 lbs and had severe pains down his right leg and arm and his feet were a mass of broken veins and a deep purple in colour. He was not well at all. He was only 42 but looked old and incredibly unhealthy and very angry. He would arrive home late and have his first meal of the day around 9pm. Although married with two children he spent next to no time with them. He had it all worked out. He had constructed a situation for himself that meant he did not have to emotionally connect with anyone at any time. His perception of his role at work was that he must be guarded and suspicious of everyone at all times. ‘You see, even the bosses you can’t really trust, because they get head hunted, you know, and leave to rival companies, so even they can’t be relied on, its shocking you know how it’s become.’ What happened to this poor man that he stood on guard day and night, even suspicious of his children? ‘Why do some men have breasts?’ he asked me on our first meeting. His question threw me. I am normally ready for any question in the treatment room, but ‘this’ question from ‘this’ man really threw me. ‘Do you have breasts?’ I asked. ‘Yes, I do’ he replied looking down. ‘Maybe it is muscle that has turned to fat tissue from when you gained and lost weight?’ I suggested, still not really understanding his question. ‘Oh, is that right? Thank you. But why did I have them when I was a boy?’ he quickly added. In that moment I saw something in him that was greater than the anger he presented to the world. He was vulnerable, shy and deeply, deeply hurt. I sat next to him on the treatment couch, our legs hanging next to each other like two kids sitting on a wall throwing stones. The great bullish man that had walked into the room only one half hour earlier had become a little boy, lost and alone. I felt like the ‘best mate’ he never had. He was very sad and desperate and his self confidence was crushed, and I imagine had been that way since he was about the age he felt next to me sitting on the treatment couch. Diagnostically, Brian had a causative factor in the Fire element, and in particular the pericardium (heart-protector). His primary colour was ashen, he was emotionally joyless, his voice lacked any laughter or lift and his natural smell was slightly burnt or scorched. Although Brian seemed angry, this emotion was a symptom rather than the cause of his distress. For example, he was not angry that he was teased as a child; there was no appeal for me to understand his pain. He simply sat in the cold, joyless place that teasing, and I imagine bullying, had left him with a genuine belief that he had female breasts. Brian loved it when I related to him as a friend. This levelling of status and communicating with warmth really worked with him. We agreed a plan for healthier eating, giving tips I had found personally useful and suggested he go to his doctor for a general check up so that we knew we could move forward without worrying about anything that needed medical attention. We were going to work on this together. At some point I imagine when he was very young he instinctively realised it was too dangerous to be open with people and closed the gates around his heart to ensure no-one could inflict the fatal blow. This is a smart measure for someone in this situation, but at what cost in the long term. By closing himself off as a child not only did he cease to be a child, he cut himself off from the warmth of others, just like living under a cloud his whole life. His heart cut off from the rest of humanity, he grew suspicious of the outside world, creating fantasies about the dangers of everyone out there and the need to keep everything safe inside. His choice of job is interesting in that the general theme of the business sat well with, and supported, his internal story. He in effect created his external reality to match his internal experience. Nothing therefore could be expected to change on the outside until something changed on the inside. In Classical Five Element Theory the Heart Protector was one of the Officials of the Emperor’s palace. His role was that of gate keeper, ensuring only the appropriate and invited guests to the palace should be allowed entrance. Equally, being responsible for the ‘opening’ of the gate, he was also responsible for the ‘closing’ of the gate, ensuring that which should go out has free movement. When this aspect of ourselves works well, we communicate freely and openly with our fellow human beings, knowing when and how much to open and knowing when to shut. This is not a conscious act; it is instinctive and plays a profound role in our lives. It plays a major role in determining who we choose as partners, as friends, as work colleagues, and decisions based on how well we are able to sense which situations are good or bad for us can affect everything in our lives. How do we know when to leave a situation? How do we know when the party is over? How do we know when the love has gone? It is the Heart Protector and the Three Heater that constantly monitor any situation, constantly checking the emotional, physical and even political temperature to know when to start closing or when to open more. Treatment strategy was focused on restoring the function of the Heart Protector and Three Heater. Points on the Pericardium and Three Heater channel were treated to restore the healthy functioning of these two ‘Officials’. One of the great challenges of treating someone with a causative factor in the Heart Protector is the subtle balance of enabling them to remain totally vulnerable but be okay with this, and still be able to function fully. The idea that we want to create protection around the heart, warding off any physical or emotional insult or attack, is misguided and misunderstands the function of this Official. Fire is about trust, and the ultimate trust is to know that nothing can harm us. By standing in a place of total vulnerabilty we cultivate a ‘turn the other cheek’ approach to life enabling us to be bold in our relationships whilst being totally open to all possibilities. Suspicion and defensive behaviour only further serve to isolate the person and attract further insult. Using points on the Heart Protector channel serves to remind the person of a place that exists within us, where we are safe and cannot be harmed. This enables the person to be open and to give and receive in a way that promotes emotional and physical communication. This point clearly restores the elevated state of knowing there is a safe place within us whatever maybe happening on the outside. For the Heart Protector patient, revisiting this place can be so profound it sets the agenda for all future treatments. I used this point on Brian at treatment five after I had gently worked on building his core constitution by using the Back shu points of pericardium and three heater and ‘command’ points to re-establish the relationship of fire within the shen and ko cycles. These points used in combination were particularly important in Brian’s treatment. Finding a place where he hid in the dark, suspicious and defensive, and showing him a way out was essential in tempting him back into the light. Over a period of six months, seeing Brian initially every week for six weeks and then monthly, I at some time used most of the points on the Pericardium channel. Similarly to the treatment protocol with my ‘Heart’ patient Michael, I simply worked to re-stablish the status quo of this particular Official whilst monitoring the effect on the whole system and judging success by changes in the way Brian presented by means of feedback, but more importantly, in his colour, sound, odour and emotion. By opening the two 'gates' mentioned, and restoring the healthy functioning of these points, Brian almost immediately shifted from his defensive paranoid inner world and came out to meet his family and work colleagues. His feedback from this treatment included taking a day from work to spend some time with his two children and a decision to take his wife away for a weekend. Brian continued to improve as each month passed, feeling more at ease and lost enough weight that it was no longer a threat to his health. The fire element contains inspired wisdom from a source way beyond our intellectual minds. When we experience the power of this element it is always in its fullest form as it has to no desire to ration its influence. It is we that limit its presence, our morbid fascination with problems blocking this healing force, much like a cloud will block the light of the sun. Love is the power of the Fire Element and how we are able to experience Fire is totally dependent on our ability to love ourselves and others. 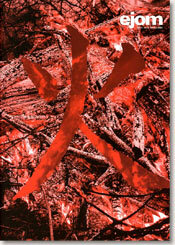 This powerful emotion that sustains humanity (humans are red) 'is' the fire element. Its natural healing power goes over and beyond anything we can construct in our minds from our experience and study, and only through our own personal development in clearing the path for this force to work through us, can we really access the fire element and use it our lives and with our patients. Love is the great healer and is the essence of Fire. As much as we may like to don a white coat, limit 'touch' to pulse taking, and use other strategies to professionalise and depersonalise our work, the intangible placebo effect we all recognise as being a part of our treatment, depends on the quality of love we are able to give to the patient at that time. Fire is the transformative power. If we really want to help our patients we must access this power through our hearts and be bold enough to 'love' them without constraint. Gerad Kite has been working as an acupuncturist for over 15 years. In 1993 he opened the first NHS funded acupuncture service at King’s College Hospital in London. He teaches and works as a consultant in the UK and in the US. He combines his psychotherapeutic roots with Classical Five Element acupuncture, life coaching skills and lifestyle recommendations when working with patients.